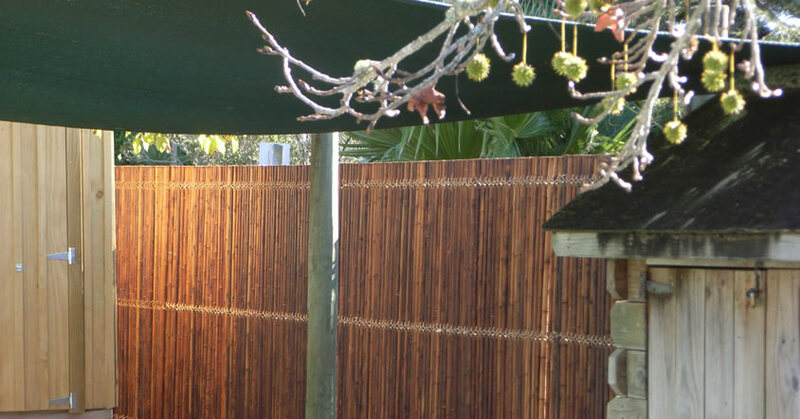 Strong, Stunning, Versatile and Sustainable, Brustics Bamboo Fencing Panels will transform any backyard or entertaining area into the tropical tranquil paradise you’ve been dreaming of. 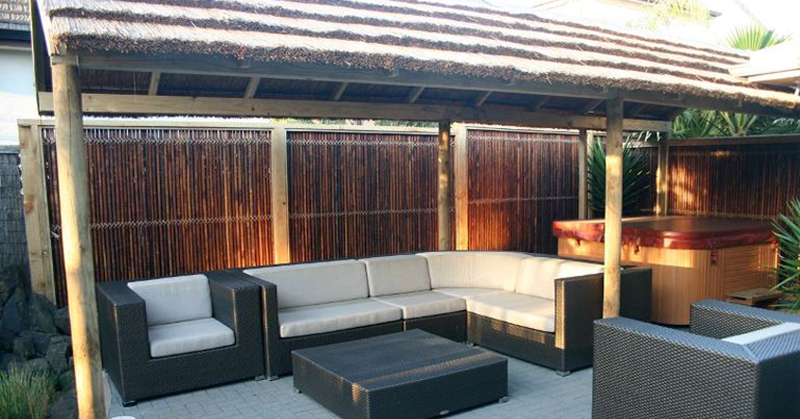 Attractive, low maintenance and affordable, Brustics range of bamboo fence panels and screens provide naturally beautiful solutions with resort appeal. 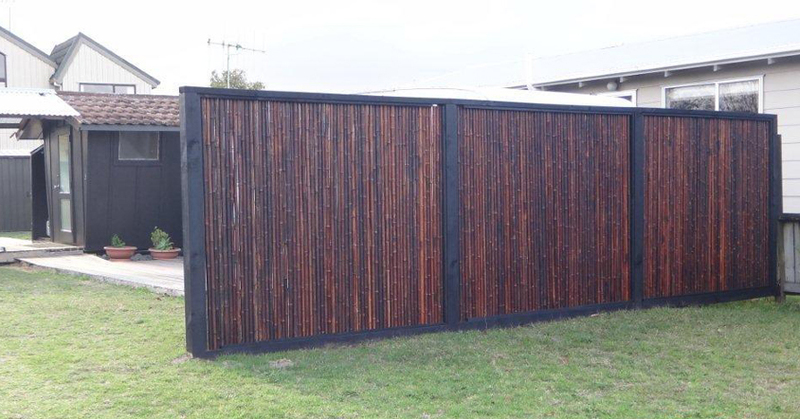 With 3 heights available, we can incorporate our panels into any fence or feature design. 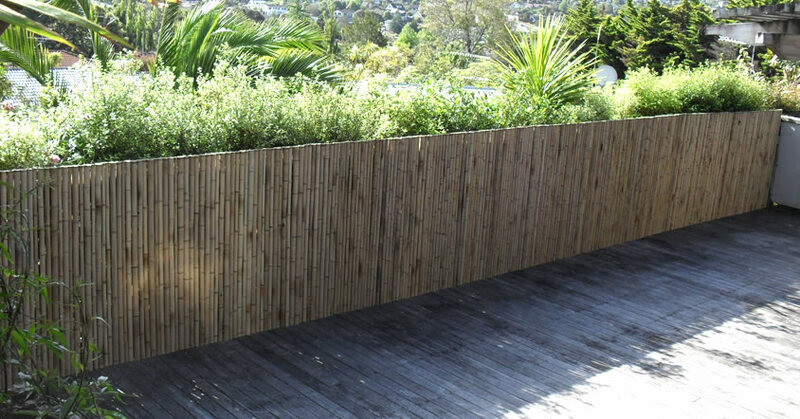 Brustics Bamboo Fencing Panels beauty lies in its quality and natural look which blends with varied contemporary outdoor architectural and landscaping styles. 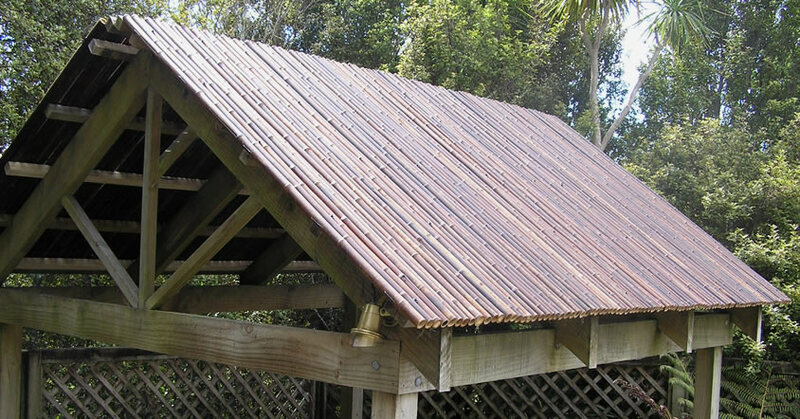 Create a new backyard by simply cladding your existing fence or create new ones to create tropical, Balinese, Oriental or New Zealand Pasifika themes. They are perfect for pool and spa surrounds (pool fence compliant), balconies and verandas, overhead shade screens and wind shelters as well as architectural wall cladding for your indoor or outdoor spaces. 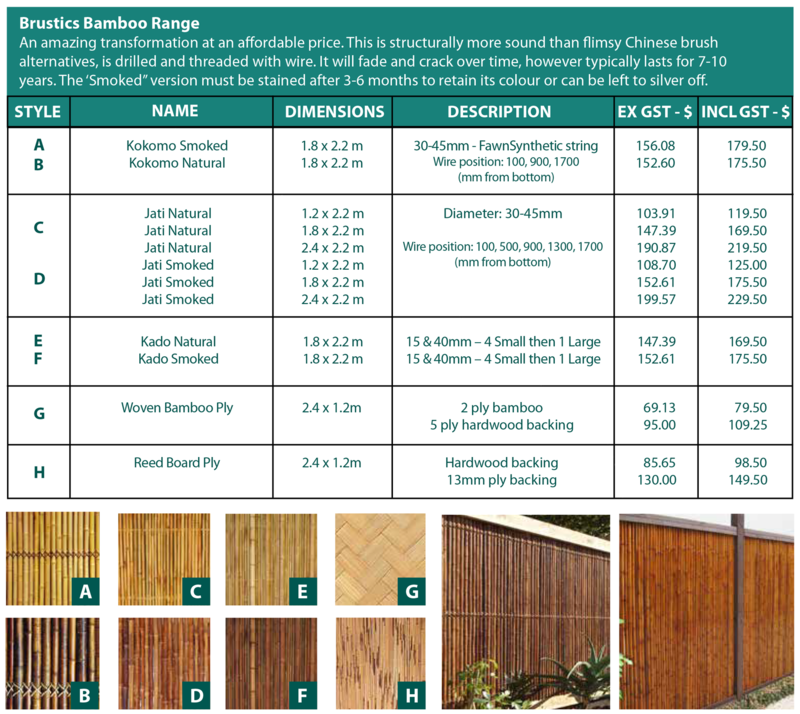 Why should you choose Brustics Bamboo Fencing Panels? 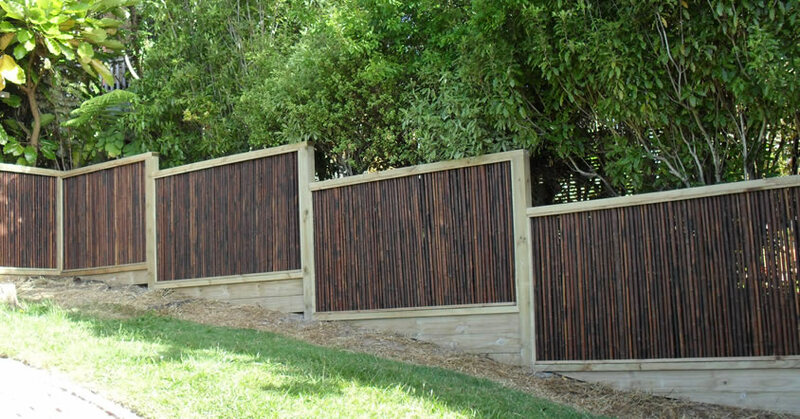 Bamboo panels are an attractive and unique addition to any yard, used simply as a fence or as a feature. 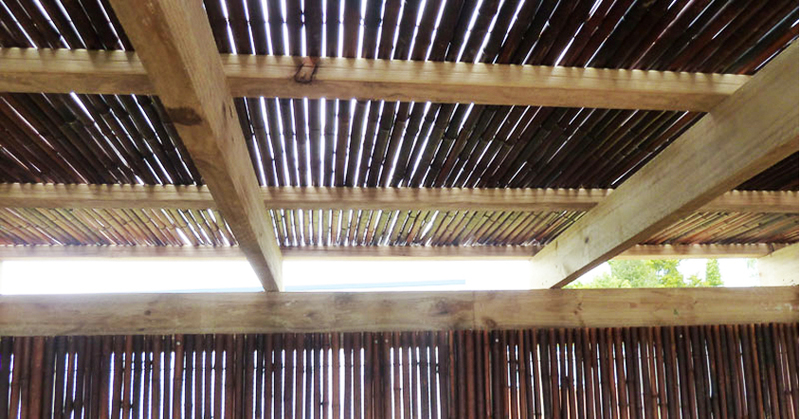 Bamboo Panels allow you to transform your backyard into a relaxing tropical escape. Easy to install (Do it yourself or let us install it for you) and maintain. The semi rigid rolls that are simply unwound to attach over an existing fence or a frame. Fantastic cost effective option for transforming tired old fences. Provides an instant tropical backdrop for plants, statues and water features that will be enjoyed for years to come. Can be installed either vertically or horizontally for a different look or, try a combination of both. Perfect addition to a Thatch Gazebo or stand alone as a feature. Come in a range of sizes for all types of jobs. 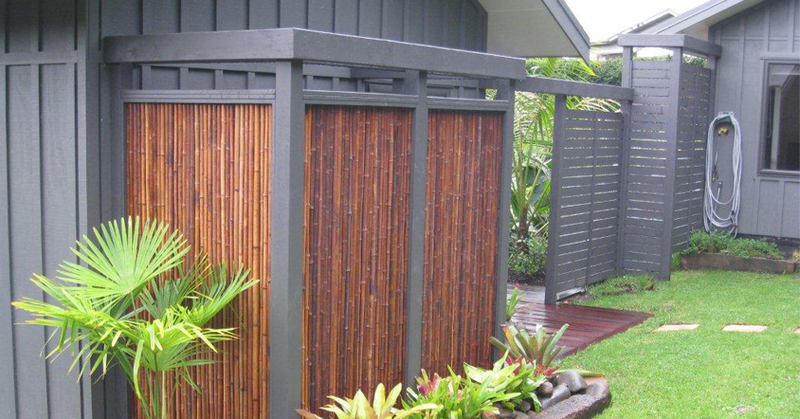 Bamboo screens can be easily manipulated around corners or shortened in width and height. 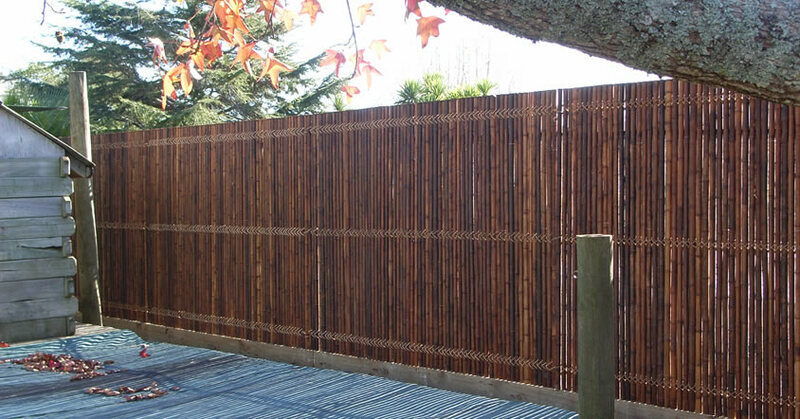 Brustics Bamboo Panels will make distinctive fencing, screens and shading for both exterior and interior applications. Installed outside, the ‘natural’ bamboo weathers to a silver grey similar to timber, the ‘smoked’ will weather to a mushroom colour after 3-6 months. Once weathered the bamboo becomes more porous, enabling varnish or stain to penetrate, something which cannot be done when new. We recommend the smoked bamboo is stained after 6-12 months and the natural bamboo after 12-18 months. Used as fencing the expected life is 7-10 years. Staining will extend the life even more. However as with many of our natural products, the life expectancy of the fence depends on the location and conditions it is exposed to. The main damaging factor for bamboo is the sun, so fences with full all day sun will go a slivery-grey sooner. Bamboo doesn’t tend to rot, it becomes brittle and cracks with age. Water will encourage the growth of moulds and fungus, but these can be generally washed off. You just need a stiff brush and hose. We deliver nationwide and welcome pickups; or provide your address and the product required in the Order/Enquiry Form and we will respond promptly with a quote including freight to your door. these prior to commencing your project. We can usually provide details of installers who are familiar with our products. 2. Warranty: All our products carry a minimum warranty of 12 months. Our products are natural. Variations from any description, visual, oral or written may occur. All information about the products is given in good faith and to the best of our knowledge. Purchasers should satisfy themselves as to the suitability of the product for its intended use. Please fill in your product request and we will respond within 24 hours.